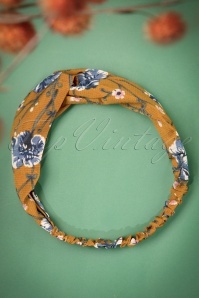 Complete your retro look with this 50s Floriana Head Band in Mustard! 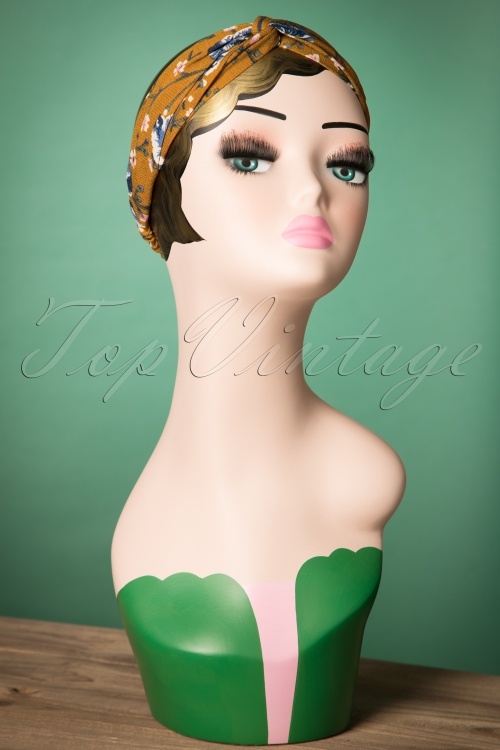 If you're having trouble figuring out what to do with your hair sometimes, we've got the perfect solution; this crossover turban style headband! Made from a mustard yellow structured fabric, featuring a romantic flower print and finished off with elastic so it stays in place all day. 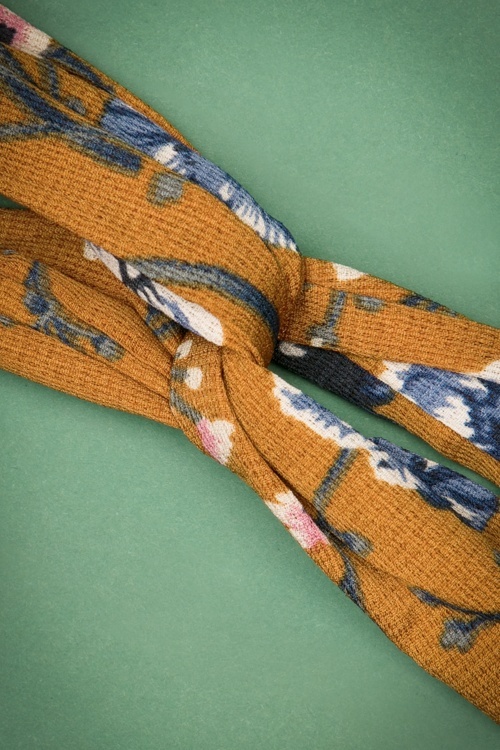 Hop, hop in your hair!